Grow automation technology is perhaps one of the fastest growing sectors of the cannabis industry. 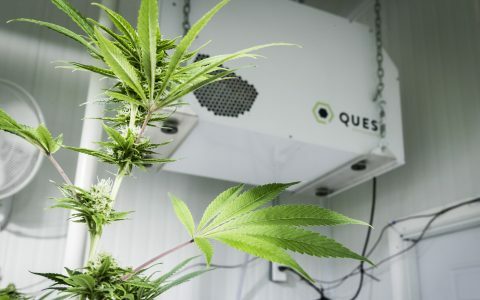 Not limited to large-scale industrial operations, this burgeoning market also provides solutions to smaller home growers who wish to cut their labor while increasing efficiency and control in their gardens. When cultivating at home for personal use, there are many reasons to embrace automation. For some, having greater control is key. Others wish to leave their grows unattended without having to secure a garden-sitter. 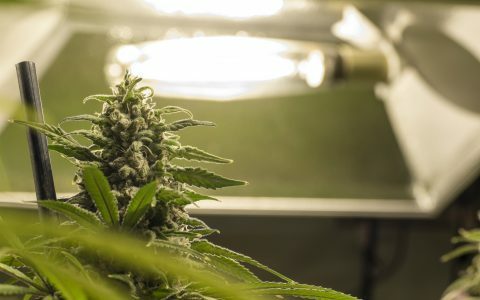 No matter the budget or scale, there are many ways in which home cultivators can utilize automation technology in their gardens, and surprisingly many solutions are quite simple and inexpensive. Here are just three ways home growers can take their gardens to the next level with automation. Timers are the very first step growers can take to add automation to their indoor gardens. Small-scale growers can utilize timers for a number of tasks, and making the switch from manual control can be surprisingly inexpensive. A single basic analog timer can cost as little as $10,and offers a range of solutions when connected to lights, fans, pumps, and other climate control elements. This is a perfect tool for those who are looking to minimize labor and reduce time spent on basic repetitive tasks. A set of timers may not be enough to allow growers to leave their gardens unattended for long periods of time, however it can reduce the number of trips a grower must make to the garden. Many timers include multiple inlets, allowing for more than one climate control element to run on an identical schedule. When setting up gardens with multiple lights and fans, these timer systems are crucial for preventing gardeners from constantly turning systems on and off manually. Digital timers are also perfect for more elaborate gardens and allow for multiple schedule settings to be programmed over a period of time. For example, digital timers can program fans, pumps, and CO2 systems to run on intervals over multiple schedules without the need for any manual input whatsoever. Indoor, greenhouse, and hydroponic growers rely heavily on climate control to keep their gardens running smoothly. This autopilot digital environmental controller, for example, not only has the ability to monitor and control CO2, temperature, and humidity, but it can also log and store data on your garden. Devices like this are great for collecting information such as temperature and humidity spikes/dips, as well as information on VPD (vapor pressure deficit) so that growers can fully optimize their climate to suit the needs of their plants. Other types of meters include this pH continuous monitoring system designed to automatically monitor pH and TDS (total dissolved solids) levels over time. This unit will constantly measure the acidity of your grow medium as well as the PPM levels to determine if your plants are getting enough nutrients. Having this type of control in the garden saves a lot of time and allows growers to gain the advantage of knowing exactly where their garden climate levels are at without even having to get their hands dirty. Watering and feeding is slightly more difficult to automate than climate control. 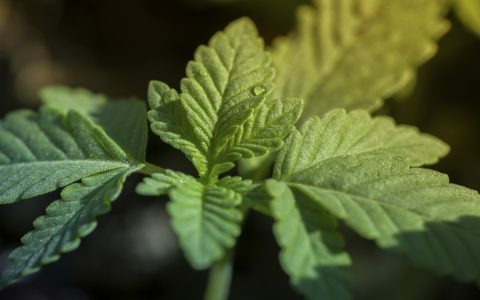 This is in part because individual plants within the same grow space may require different quantities of water and nutrients based on micro climate patterns, genetics, as well as a number of other variables. That being said, systems designed to auto-feed and irrigate effectively are often complex and expensive. However, they do not necessarily have to be. The process of incorporating a nutrient feeding system into an automated irrigator is often referred to as “fertigation,” a practice which has become commonplace in both outdoor and climate-controlled commercial agriculture. This process basically streamlines every aspect of a feeding schedule by calculating and mixing nutrients directly through an irrigation system. Fertigation systems often include both hardware (i.e., pneumatic injectors, positive displacement diaphragm pumps, drip irrigation equipment) as well as software to fully control the dosage of nutrients in the watering system. Many companies offer complete systems with professional installation, though these services are often expensive and not a good solution for small-scale farmers. Fortunately, there are many less expensive DIY solutions that use equipment carried by most garden supply centers. The most basic fertigators simply require some sort of tank with a distribution pump attached to piping systems that feed nutrients through a dripper pen. 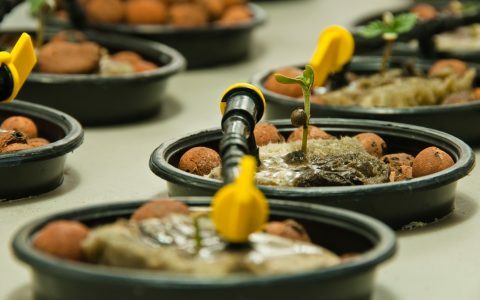 These systems work very well in smaller hydroponic setups as well as flood-and-drain style grow operations. Automation for home growers can extend well beyond meters, timers, and automated feeding systems. From single plant grow buckets to fully controlled cabinet systems and beyond, the options keep growing. Some systems are even designed to be fully controlled through software on your phone. Others include post-harvest dry and cure boxes designed to regulate temperature and humidity for your harvested buds. And then there are trimming machines that take care of the tedious task of manicuring and defoliating dried flowers. 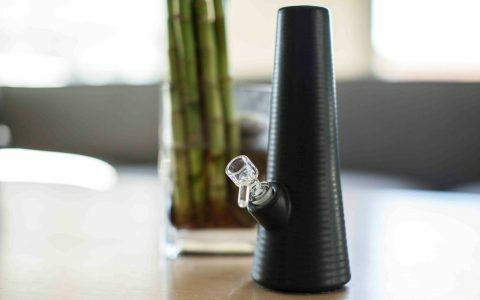 Regardless of your experience level or budget, there are many automation options that allow you to work smarter rather than harder on your home cannabis garden.